Your incredible devotion to Penn football began during your undergraduate days on the cheerleading squad, but certainly didn’t end there. 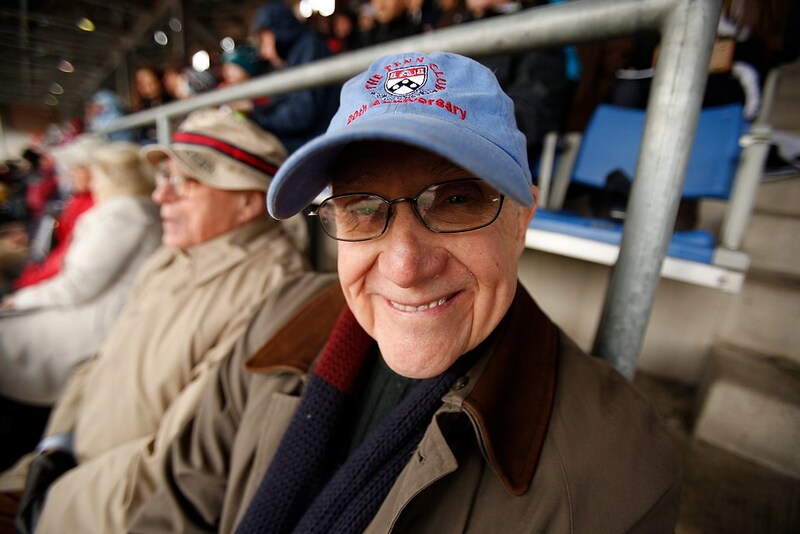 Four years after your graduation, you accepted a volunteer weekend job—announcer for Penn football games—little knowing that it would turn into a 50-year gig. For half a century, you called every home game, every touchdown and tackle, in fair weather and foul, from your perch atop the North Stands press box. 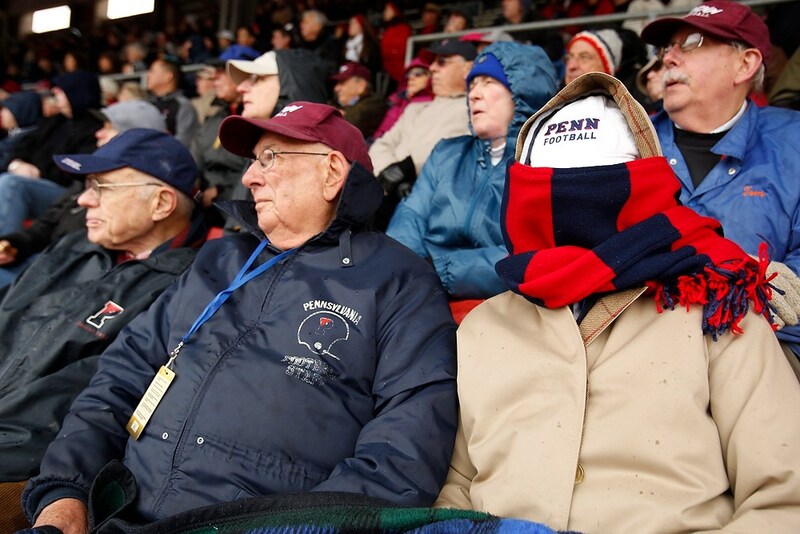 Your long tenure behind the microphone earned you the moniker “The Voice of Franklin Field”—and the affection of Quaker football fans of many generations. Your son and longtime assistant, John C.T. Alexander Jr. C’87, continues the family tradition behind the microphone at Franklin Field today. Your commitment to Penn began much earlier, in your undergraduate days, when you made your mark in student government, Greek life, sports, and more. Your student leadership roles were many and varied: president of your fraternity, Delta Tau Delta; vice chairman of the Houston Hall Board; treasurer of the Undergraduate Council; chief of the Sphinx Senior Honor Society; head cheerleader; and manager of several sports teams. Not surprisingly, your classmates selected you to receive the Spade Award, one of the Senior Honor Awards presented at Hey Day, in recognition of your achievements and contributions to the life of the class. You began giving back to Penn as chairman of your class’s 5th Reunion and haven’t stopped since. You have been elected and re-elected president of your class for the past 15 years and have been an enthusiastic driving force in the success of the Class of 1956 reunions. Again and again, you led your class to record-setting performances in both fundraising and reunion attendance. You succeeded in planning and raising funds for a highly original reunion project, the Class of 1956 Trolley, which now sits at 37th and Spruce Streets, and have been an ardent champion of the Class of 1956 Scholarship. You have also been a leader in your professional life. After graduating from Wharton in 1956, you proudly served for two years as an officer in the United States Marine Corps, and then for nine more in the active reserves. After your tour of duty, you returned to Philadelphia, and served in a variety of positions in banking, business, marketing, and public service. In 1983, you were called to serve your country in a different way: President Ronald Reagan appointed you as Chief of the International Voluntary Visitor Program, a professional and cultural exchange program for the United States Information Agency. You distinguished yourself in this role, making arrangements for foreign dignitaries visiting our country. Later, you served in President George H.W. Bush’s administration as director of a grant program for the Department of Education’s Center for International Education. Today, you are the retired President of your own residential construction firm, John Alexander Builder, and an aide in the 157th Pennsylvania Legislative District. As a former Marine, you certainly understand the concept of “semper fi”—always faithful. In recognition of your always faithful support of your alma mater, and your half century of dedicated service as “The Voice of Franklin Field,” we are pleased to present you with the 2014 Alumni Award of Merit. Your passion for all things Penn developed soon after your arrival on campus in 1957, and has continued unabated ever since. Fortunately for the University, you have used your much-lauded leadership style—described as gentle yet persistent—to serve your alma mater and share your passion for the Red & Blue with others. Your leadership skills were already evident in college, where you served as President of both Kite and Key and your fraternity, Delta Tau Delta. A star athlete in high school, you continued your winning ways at Penn, earning a letter as a quarterback and linebacker in the Varsity Lightweight (Sprint) Football Team. Active on campus, you were also a member of the Friars Senior Honor Society, the Inter-Fraternity Council, and the Varsity Council. After earning your Penn degree in 1961, you spent a year studying at Manchester University in England on a Rotary International Foundation Fellowship. Then you returned to Penn, where you completed your MBA in 1965. From there, you spent 11 years in Europe and four in Canada working for Citibank. You enjoyed a distinguished career as a bank executive, culminating in your role as Senior Vice President at Bank of America Corporation. There has been no greater beneficiary of your leadership skills than your beloved Class of 1961. For years, you have dedicated your time and talents to keep the class together. As Class President for five years, you expanded the Executive Committee to include many new leaders and encouraged participation by example. You brought your energy, organizational skills, and dedication to the planning of the Class’s very successful 45th Reunion, which set records for both 45th Reunion giving and Alumni Day attendance and won the David N. Tyre Award for Excellence in Class Communications. As co-editor of your class newsletter, you made the publication an informative and lively form of communication among your classmates. You remained involved to help create a highly impressive 50th Reunion, where the Class of 1961 had an attendance that was significantly higher than the average 50th Reunion. Your dedication to the University extends well beyond your own class. You have been a valued member of the Alumni Class Leadership Council, where you chaired the Class Awards Committee, and have served as a past member of the Penn Alumni Council as a representative of your class. 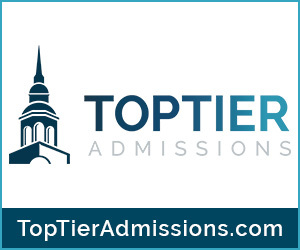 Student scholarships have always been near and dear to your heart, given your belief that deserving students must have the opportunity to pursue a Penn education. You generously established the Derby Family Scholarship in 2006 and lent your support to the Class of 1961 Scholarship as well. 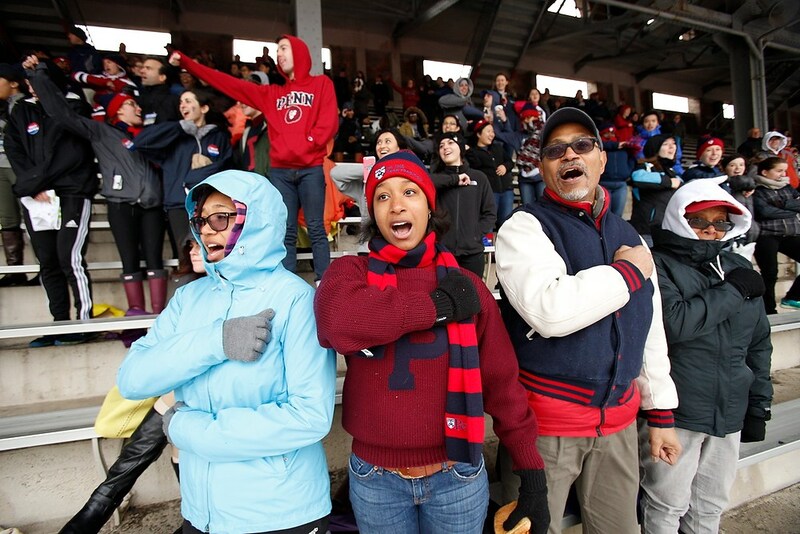 Your infectious love of the Red & Blue must run in your blood, since you come from a Proud Penn family. Your Penn tradition began with your mother, Helen Leslie Derby DH’27, and includes eight family members, who together hold 12 Penn degrees. One of your fraternity brothers, Anthony Palms C’61, commended you for your quiet and selfless dedication in sharing your love of Penn with the rest of us: “Will simply leads by example and the rest of us are better for it: better alumni, better friends with one another, and better members of our families and communities.” We couldn’t agree more and are pleased to present you with the 2014 Alumni Award of Merit. You kicked off Penn’s Making History campaign with these words: “When it comes to making history, leadership matters—at every level and in every form.” Although you were speaking of your alma mater, these very same words could be said about you, for your exemplary leadership and heartfelt dedication to the Red & Blue have certainly mattered to Penn. It was on Franklin Field, as captain of Penn’s football team, that you first displayed the leadership skills that would serve you so well not only in your distinguished professional career, in the financial industry, but also in what amounted to your second career at Penn. After serving with distinction in a variety of alumni leadership positions, you joined the Board of Trustees in 1990, and served on committees representing virtually every area of the University. This proved to be excellent preparation for your next role at Penn: chairman of the board. With your fiscal expertise, deft leadership skills, ability to forge consensus, and warm personality, you ably led the University through one of its most successful decades in its recent history—a period of unprecedented growth and accomplishment. You chaired the search committee that brought Amy Gutmann to College Hall, helped develop the Penn Connects campus expansion plan that has guided the University’s growth, and supported the acquisition of the Postal Lands, which now connect West Philadelphia to Center City. And the capital campaign that you helped launch did indeed make history, exceeding its goal and concluding with an historic $4.3 billion, which has propelled Penn forward ever since. Your achievements helped shape the University we all know today. For most, this would be enough, but for you, leadership on one Penn Board was not enough. You were a founding member of the Penn Medicine Board of Trustees, and served as its Chairman from 2009 to 2011, a transformative period that saw the opening of the Roberts Proton Therapy Center and the Smilow Translational Research Center and the renaming of the medical school as the Perelman School of Medicine. But even while serving in these exalted leadership positions, you never forgot Penn’s students. A scholarship brought you to Penn, and you and your wife, Gail Riepe CW’68, repaid that generosity many times over by establishing scholarships that have allowed dozens of students to follow in your footsteps. You also generously funded another project that benefits students: the renovation of the historic Quadrangle, where you, your son, and Gail’s father once lived. In recognition of your extraordinary commitment to undergraduate life, Riepe College House was named in your honor. Your commitment to Penn students has continued with your latest gift, which funds one of the new President’s Engagement Prizes, which will allow graduating seniors to perform community service projects that make a difference in our world. You have certainly proven true the predictions of the Sphinx Senior Society, which in 1965 identified you as a student with a “deep-rooted interest in bettering the University of Pennsylvania.” Ever since, you have proudly worn the Red & Blue on your sleeve, whether you’re chairing a Board meeting, hosting a campaign event, or sharing your Penn stories with an undergraduate. In recognition of your unwavering support, thoughtful and effective leadership, and history-making contributions to your alma mater, we are delighted to present you with the Alumni Award of Merit for 2014. You are not just a runner, or a marathoner, but an ultramarathoner. In everything you do for your alma mater, you also “go the distance”—bringing your energy, enthusiasm, and love of Penn to the task at hand, whether it’s raising funds for your class Reunion gift, mentoring young alumni, or providing opportunities for the Penn family to serve those in need. By your own admission, three of your key passions—running, technology, and entrepreneurship—took root at Penn. You arrived on campus as a tennis player and accounting major. Four years later, you left as an elite marathoner and ultramarathoner poised for a career in the growing computer field. You credit Penn—and the opportunities you found here—for this change in direction. After Penn, you earned an MA in computer science at Brown. Following a distinguished career in financial engineering, you formed your own company, Winner Squared, Inc., which offers custom computer programming services and keeps you engaged in challenging projects today. For more than three decades, you have continued running—and winning—in races ranging from the half marathon to the ultramarathon. In the 1997 New York City Marathon, you were the fastest American ultramarathoner and the fourth fastest in the world. You won gold medals at the Maccabiah Pan Am Games in 1986, the Australian Carnival in 1988, and the Master’s Half Marathon at the Maccabiah Games in 2013. You are also the leader of another important team: the Penn community in Los Angeles. As the co-president (and past president) of Penn’s Southern California Regional Advisory Board (SCRAB)—you are busy planning events, recruiting members, and cultivating both support and enthusiasm for Penn in the Los Angeles area. Many of your fellow alumni in this region say that the Penn community in LA is as vibrant as it is today because of you. Although best known for your competitive streak, you are also deeply compassionate. In 2012, you joined other local Quakers to found Penn Serves LA, which offers Penn alumni, parents, and families the opportunity to volunteer at community nonprofits. The group’s first events—at Turning Point Shelter, the Midnight Mission, Inner City Arts, and Habitat for Humanity—soon followed, offering a range of service opportunities for the Penn family in LA. As executive vice president of your class, you have also contributed to the incredible spirit and camaraderie that define the Class of 1983. You have served as a member of your class’s gift committee since your 20th Reunion and co-gift chair for your 25th and 30th reunions. With you at the helm, your class set all-time fundraising records for total dollars pledged for both the 25th and 30th reunions. With your boundless energy, you also serve your alma mater as a member of the Penn Alumni Board of Directors and the Trustees’ Council of Penn Women, where you co-chair the Athletics Committee. You continue to be a champion for Penn Tennis through your membership on the Penn Tennis Board and your mentorship of Penn tennis players. We salute you for going the distance for Penn, especially in Southern California, and are pleased to present you with the 2014 Alumni Award of Merit. Two elements of your Penn experience are particularly revealing: You played percussion (the glockenspiel!) in the Penn Band, and you worked with students in local public schools as part of the Music Mentoring Program. Since graduation, you have continued to keep beautiful time for Penn, while motivating fellow alumni to follow your lead. In 2005, Penn degree in hand, you returned to your hometown of Phoenix, Arizona, where you immediately connected with the Penn-Wharton Club. Within a short time, you were named to the club board and distinguished yourself as a leader willing to take on any challenge. At the same time, you began your working life at the American Heart Association, where you managed over 500 volunteers for Arizona’s successful campaign to end smoking in restaurants and bars, a ban that went into effect in 2007. A move to Chicago to work for the local PBS affiliate meant a change in venue, but not in commitment to Penn. When the president of the Penn Club of Chicago unexpectedly relocated to California, you graciously assumed the role. At the helm of a large and active group, you found new ways to enhance connections among alumni in the Windy City. When your career brought you back to Philadelphia in 2008, you followed your established pattern, immediately immersing yourself in alumni leadership activities. You helped build the Penn Alumni Club of Philadelphia into an organization worthy of the Alumni Club Award of Merit distinction in 2009, and assumed the club’s presidency in 2010. Opportunities to take on additional leadership roles quickly followed. You now serve as corresponding secretary of the Association of Alumnae, bringing your practical experience and fresh perspective to that venerable, multi-generational organization. You chair the Regional Clubs Advisory Board, helping to mentor and guide the leadership of 120 alumni clubs around the globe. And you are co-chair for your 10th Reunion, coming up this spring. Not every Penn involvement is quite so formal. Two years ago, you founded a reading club that focuses solely on books about food. Your dedicated group of Penn foodies meets every other month to discuss the selected book and enjoy a potluck of homemade dishes related to the cuisine it features. An enthusiastic traveler, back home to Arizona and around the world, you are a wonderful ambassador for Penn wherever you go. As you crisscross the globe, a trail of laudatory adjectives follows you: bright, charming, dedicated, organized, and perhaps most important, inspirational. 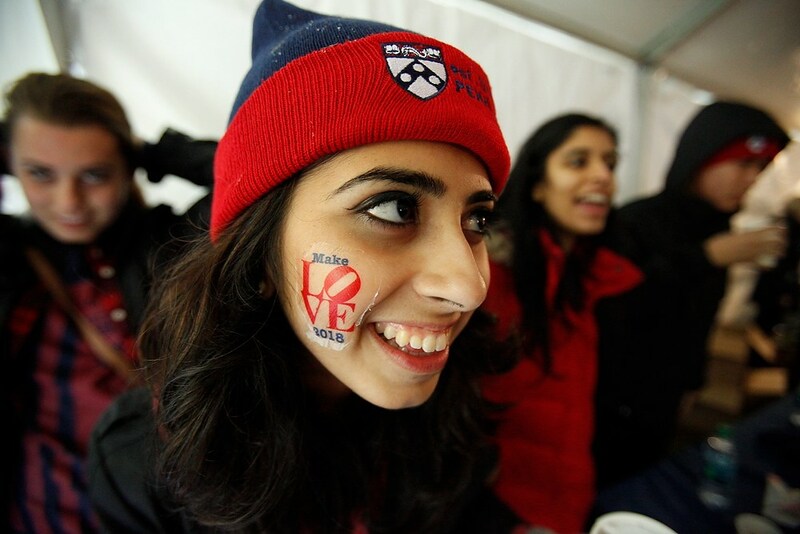 In your first decade as an alumna, you have taken your place among Penn’s most engaged volunteers, so we are confident that you will continue to be meaningfully connected for many years to come. Therefore, it is with gratitude, pride, and great expectations that we present you with the 2014 Young Alumni Award. You’re on a winning streak: The first two Penn Clubs with which you were associated—Los Angeles and Northern California—both won the Alumni Club Award of Merit while you were a member. Surely, that is no coincidence. With each professional move since graduating from Penn, you have used your outstanding organizational and leadership skills to help mold regional clubs to award-winning status. You went straight from an active role in the PennClubLA, to events chair and then president of the Northern California club, and are now president of the Wharton Club of Western Pennsylvania and a key member of the Penn Alumni Club in the Steel City area. With dual degrees from Penn Engineering and Wharton, you identify with both alumni communities. Soon after you first arrived in California, you joined the WhartonSoCAL board, and regularly attended other Penn alumni events. Recruited to PennClubLA as the club liaison for Wharton Alumni activities, it was immediately apparent how your exceptional generosity of time and talent, and clear-headed strategic thinking would benefit both organizations. Specifically, you were instrumental in developing and marketing the idea of co-sponsored events between WhartonSoCal and PennClubLA. You were convinced—and rightly so—that hosting shared activities would be cost effective, increase networking and marketing opportunities, and enhance the overall potential for success. Then, you gently persuaded board members and local alumni of the advantages of collaboration. When you took on leadership of the Los Angeles chapter of Penn’s Asian Alumni Network (UPAAN-LA), you continued to promote the idea of co-sponsored events, this time between UPAAN, WhartonSoCal, and PennClubLA. The year you took over the reins at UPAAN-LA, it doubled the number of events and raised its profile by partnering with the regional clubs instead of flying solo. You have continued to promote the “One Penn” model with your trademark dedication, enthusiasm, resourcefulness, and cheer. Not surprisingly, volunteers throughout the alumni community love that you readily roll up your sleeves, jump in to help, and coach others with great warmth and humor. They also appreciate the depth of your knowledge about Penn, gained through your frequent visits to campus (you are a Homecoming and Alumni Weekend regular), and participation in volunteer leadership events, the Penn Alumni Interview program, and a host of regional alumni activities in Western Pennsylvania. You chair the affinity subcommittee for the Penn Alumni Club of Western PA, and are also a past member of the Regional Clubs Advisory Board, drawing on your experience in three Penn markets. Your work with a range of alumni groups has given you a broad perspective and serves as a reminder that service to Penn is never limited by geography. Wherever you go, your passion for and commitment to Penn go with you, as well as your wonderfully collaborative mind-set. You have made significant contributions to your University alumni community in the 14 years since your graduation. With gratitude and with confidence that you will continue to be meaningfully engaged with Penn for many years to come, we are pleased to present you with the 2014 Young Alumni Award. In your recent book—the 82nd you’ve published—you create a quirky, fictional character called the Commissioner of Curiosity and Imagination, to whom you bear more than a passing resemblance. Like the “Commish”, you are restlessly and insatiably inquisitive, proudly claiming that ignorance is the wellspring of your passion and power. You like to describe your mind as a tabula rasa, but that is clearly not the case. At Penn, you earned both Bachelor’s and Master’s degrees in Architecture with highest honors, and received the Arthur Spayd Brooks Gold Medal and two graduate fellowships. Over the years, you have amassed other honors, including a Guggenheim Fellowship in Architecture and Design, three honorary doctorates, numerous grants from the National Endowment for the Arts, the Cooper Hewitt National Design Award for Lifetime Achievement, the Annual Gold Medal from Trinity College, Dublin and the Bradford Washburn Award for 2014. You have returned to campus, especially over the last two years, to participate in lectures and discussions, and will present the Lisa Roberts and David Seltzer Integrated Product Design Lecture in spring 2015. Credentials and kudos aside, you’ve always been interested by a wide array of topics, and Penn was able to satisfy your academic inquiries. You credit the late professor Schuyler V. R. Cammann with opening your eyes to the Asian half of the world. You’ve said that the History of Astronomy was one of the most interesting courses you ever took. And you were drawn to the path-breaking modernist architect Louis Kahn, who became your longtime mentor. Your post-Penn life has been one of continuous re-design: architect, cartographer, teacher, urban designer, graphic designer, information theorist, and conference convener. The common threads have been your quest to tame complex information, personal abhorrence of boredom, and insistence on pursuing wonder. Early in your career, you coined the term “information architecture,” and became its leading pioneer. 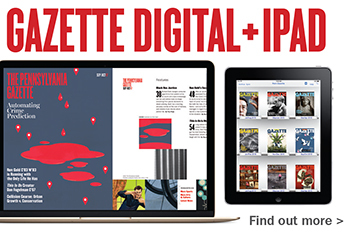 Anyone who has navigated a new city using one of your Access guides understands how your use of graphics and editorial organization makes new places quickly understandable. In what you have called your personal “journey from not knowing to knowing,” you have conceptualized, designed, edited, and written books on subjects as varied as the Olympics, diagnostic tests for men and women, Wall Street, and your best-selling Information Anxiety (1989) and Information Anxiety 2 (1990). You are perhaps best known for creating and chairing (1984-2002) the TED (Technology/ Entertainment/Design) Conference, described as an “eclectic party of intellectuals, innovators, designers, and entertainers,” as well as the annual TED/MED meeting, founded in 1995, and the EG conference, founded in 2006. Well into your seventh decade, you continue to channel your restless intellect into new projects. In 2012, your WWW Conference paired great minds in extemporaneous conversations you call “intellectual jazz.” Another project, 19.20.21, is comparing data on 19 cities that will have 20 million or more inhabitants in the 21st century. In February 2015, your Urban Observatory, with partners ESRI and Radical Media, will open at the restored Smithsonian Castle on the Mall in Washington. You are a truly inventive thinker and one of the greatest champions of design in its very broadest sense. We are immensely proud that Penn helped you identify your true calling—making complex information easy to understand—and we are awed by the diverse worlds of knowledge you have enthusiastically explored. 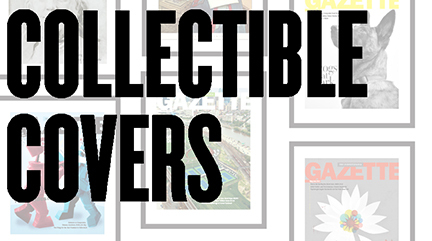 It is therefore our distinct pleasure to present you with the Penn Creative Spirit Award for 2014.